Am I a morning person? This time of year I wake up in darkness, I leave the house at sunrise, and I get home from work at sunset. That being said, I am a child of God and this changes everything. This morning, before work, I walked down to the end of my driveway and gazed at the sunrise and the “tree skeletons” in complete silence. I thought to myself, that’s God’s handiwork, but I still miss the leaves. What is God going to do today? How will the Holy Spirit inspire me today? How will God use me? What will He teach me today? How will He bless this day? How will He use me to bless someone else? The possibilities are limitless because God is limitless. A few weeks ago I was in Columbus Ohio attending a conference and there’s this front desk guy named Clifford at the Downtown Hampton Inn and Suites that was unforgettable. If you’ve been to this hotel – you undoubtedly know Clifford. He’s this big teddy bear guy who gushes with Jesus’ love every second you see him. He greeted me each morning saying “Good morning Steve – Jesus loves you today!” and “seize the day Steven, God made it!” He only knew my name because I was wearing a name tag around my neck for the conference. 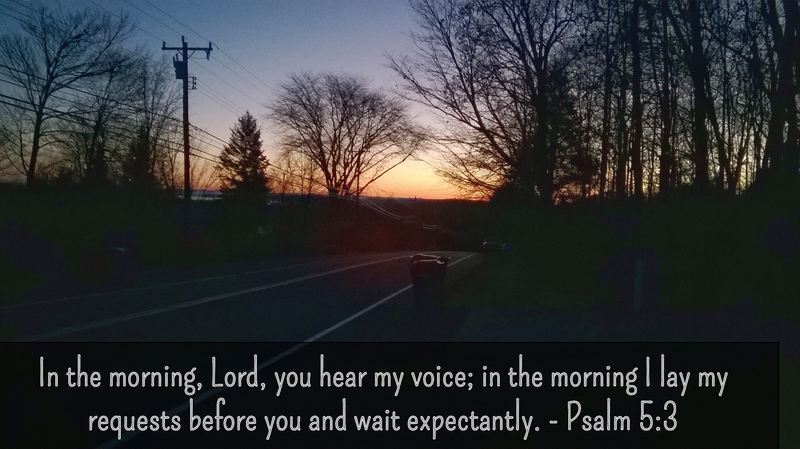 My first morning while eating breakfast, I heard someone singing the Psalms rather loudly. Yes, it was Clifford singing “in the morning I will sing, I will sing glad songs of praise, I will sing glad songs of praise to You” loud enough for the entire first floor to hear and probably also woke a few people up. Fortunately, he had a nice singing voice. Clifford didn’t care that he lives and works in a secular world. I watched as many people looked perplexed at Clifford’s bubbly morning routine. They didn’t know how to relate to his joy and his exuberant love for his savior. I could. To me, this was the Holy Spirit making himself known in a powerful and memorable way. I actually miss Clifford. God put him into my life if but for a few days. I thank God for today. I thank him for Clifford and how Clifford made me think about Jesus while traveling away from home and my routine. I thank God for the sunrise, the sunset, the food that I will enjoy today, the air that I breathe, the people that I will connect with, for my family and friends, for you, for whatever things that happen to me today and for whatever thoughts that cross my mind. God is in control of everything. Don’t you love that? So good morning to you! God loves you today! God is doing something today that includes you in it! So seize this day and smile, it is contagious and a great outreach tool. Contemporary Christian Music As Outreach! God hasn’t been on the charts for awhile! Chris Tomlin’s latest release titled “Burning Lights” has made it onto the Pop billboard charts, so did “The Altar and the Door” by the Casting Crowns. Singers like Chris Tomlin are filling stadiums of 30,000 souls, even in places like Sri Lanka and the Ukraine. TV’s popular singing competition shows like “American Idol” and “The Voice” draw leagues of singers from within the church. Colton Dixon, Mandisa, Danny Gokey, Chris Sleigh, Cristabel Clack, Angela Miller, Jason Castro; the list goes on and on and on. The show has even aired the singing of “Shout to the Lord” on two occasions to the tens of millions who watch. The band known as “Third Day” appeared on the Jay Leno show. Make no mistake, this is all an incredible outreach opportunity because Christianity works best when it’s shared beyond the walls of the church. God’s word is being shared through music as a result of Contemporary Christian music. Ancient truths are being told to new people! We are a city on a hill! Contemporary Christian music gives us a voice in the media, in entertainment and culture. We are not meant to hide away. We are meant to be leaders, beacons and lampstands. It appears that we are heading towards a time when the walls separating Christian music and secular music will fall. It is in fact already starting to happen and yes, it is exciting. As much as I like hymns, these will probably never get this type of extensive exposure into the unchurched world. They can adorn our worship, they can edify those in the church, they are God pleasing, they are wonderful, they are time tested, they are the songs that I want sung at my funeral; and they might reach a few through our earnest outreach efforts, but they probably can’t get the exposure that Contemporary music is garnering. If we only ever play the music before Christians, how will the word make it’s way to the masses? But contemporary songs are inferior! The lyrics are simpler, they do not cover the broad range of scripture as hymns do, they have not been tested over time and they have many problems, concerns and issues. They are here today but might not last until tomorrow. And yet, they have a place in the kingdom! They are serving a purpose. God is using this form of music to spread his word and his life saving gospel lesson throughout the unchurched world. “The most powerful interchange is when God disregards the style of music you are crafting and starts to play on your heart strings as well.” – Kevin Prosch. * I have just listed a few places to purchase the music. There are many other websites as well, so feel free to shop around or to use your favorite music supplier. I would especially like to draw your attention to the song “We Speak to Nations.” In the past, we have used a sing-along style video of this piece created by Integrity worship. This is a phenomenal arrangement of the song with inspirational graphics, lyrics and the full band accompaniment. Your church will love it. Outreach in Haiti – Go WELS! This is the best WELS Connection video I have ever seen. Note how this WELS Pastor is playing Haitian praise music by drumming on a 5 gallon pail! I just love to see our Missionaries using music that is culturally relevant to the people that they are trying to reach. This is going to be effective!!! Church is where I encounter God. It’s where I hear Him speak in His word and sacrament. It’s where I know I will find Him because He says in His word that wherever two or more are gathered in His name, there He will be as well. I go to church to confess my sins and hear the absolution (forgiveness) of my sins spoken back to me by our Pastor. We do this every Sunday and it’s pretty close to the first thing that we do. I go to church for the personal reassurance of forgiveness that is offered to me through the Lord’s Supper and the very tasting and seeing of my savior’s body and blood, shed for me, which is present in the elements. I go to church to give my offerings to God. I go to church to pray collectively with fellow believers. I go to church to sing praises to God, to worship Him and to honor Him. I go to church to state my beliefs through the use of creeds (Apostle’s, Nicene and Athanasian). I go to church to hear preaching; primarily focused on Christ’s work. I go to church to learn about God, His character, His acts, His attributes, to hear stories about His people and the earth’s history. I go to church to be with fellow believers that I share a unity of faith with. These are my closest friends. My denomination and local church do an outstanding job of feeding my faith through the above list. Friendliness of the people; it is not a good thing if every head in the church turns around and looks at a visitor as they enter – especially if they enter late. Style of the music and the participation of the congregation as well as applicability and modernity of the preached message. The worship service can not and should not be boring. It can be lively or somber, energetic or remorseful, uplifting or introspective, bombastic or reverent – anything but boring – because God, His word, and His stories are not boring. Someone is doing something very wrong if your worship is being classified as boring. One piece of advice – avoid robotic worship planning where the only thing that changes from week-to-week is the hymn numbers and the only prayers that are used are pre-written by someone far removed from the local church. A feeling of being welcome; not ignored and not swarmed upon – either extreme can be bad. A helpful person in the pew. A children’s message during worship, and a general feeling of welcome to children, teens, young families, single people and the elderly; i.e. everyone. Avoid feelings or perceptions of exclusivity, including cliques and too many “churchy or old words” that only church-goers recognize. Visitors need to see an active body of believers and not just a one man show where the Pastor does it all. I think that the church will die without the first list. The second list is also important; especially for reaching the unchurched. Many churches I know are very good at catering to the first list but sometimes lack in the second; as a result our churches are sometimes full of ageing, mature, strong Christians who are all saved but our growth always seem to be an issue. So our job is to find the right balance because relying solely at either extreme can limit the church’s efforts. This is not about dumbing down the service or becoming irreverent; it is about growing God’s kingdom here on earth and spreading that precious life-saving Gospel with those who need it most. The goal is for everyone to be saved; your seasoned members andvisitors (those new to the faith), so that in the end God’s kingdom grows. The key here is to do both lists without losing your connection to the Word of Life and also keeping the Word of God in the forefront of all activities. Stated differently, do not change your message for the sake of growth. Some of you are thinking that we don’t need to work towards the second list – all we need to do is plant the seed we say; but to the weak, we must become weak. We need to plant the seed and to see that the gorund is fertile . That person in your church who shows up an hour before worship to get the coffee going – they realize that it’s about more than the coffee, they have a proper eternal perspective, they know that people are going to be reached with the life saving gospel message today. Your job is to win as many people as possible and to do whatever it takes to do so. Finally, let’s stop picking on those churches that have “coffee and couches”, or those using contemporary music, or those using art in worship, or those who raise their arms in praise; let’s stop using the terms “happy-clappy” or “stand-up and sit-down” or “7/11” as these are all childlike and not becoming of Christians. Rather, let scripture be your guide. Let’s be more like Paul. What if church wasn’t so robotic (the same every week; only difference being the hymn numbers)? What if church was the highlight of your week? What if church prayers were timely, relevant, spirit filled, and written specifically for your congregation and for today’s events as opposed to written by someone else; maybe half way across the country and several years ago? What if church was described as lively, bombastic and energetic one week and somber, reflective and inspirational the next? What if church used the best music from Bach to Tomlin? What if church was compassionate and caring? What if church was based entirely on biblical truths? What if church was led by preachers who were all trained in the original Hebrew and Greek languages? What if church made a real difference in your life? What if church was attended by God and inspired by God and intended to glorify and exalt God? What if church was not legalistic? What if church was not mired in old language that we can’t understand? What if church was centered on Christ, the Gospel, the Holy Trinity, the Word, grace, the cross and forgiveness? What if everyone in church took a role in the church’s ministry? What if church administered the sacraments according to God’s pure and inerrant word? 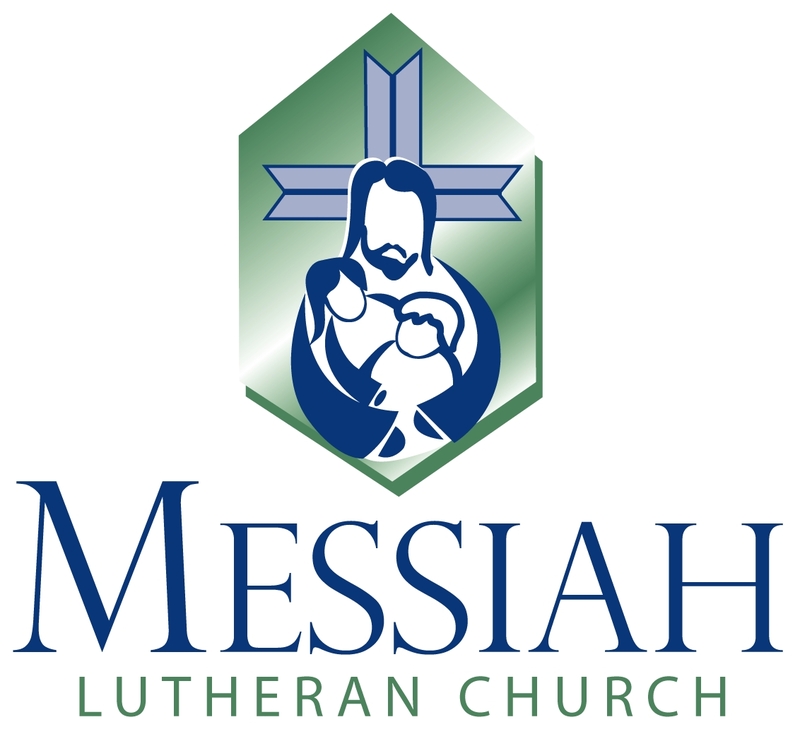 What if church brought meaning to your life? What if church was the center of your life and at the core of who you are? This was sent to me by a Pastor Friend. What a neat idea to use with your choir at the local Mall! Thanks Pastor Steve for sharing.